To continue with the salt theme (I just posted my trip to a salt mine in Bex, Switzerland), this a featured recipe from my husband, George. 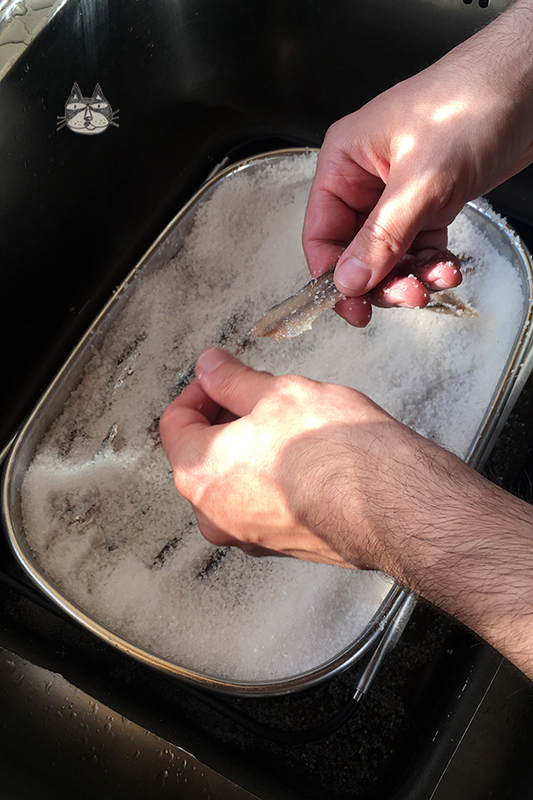 He made this wonderful salted fish for us to store in the fridge and to have it as a side dish that goes really well with soups like bean soups, or have it as a mezze with Ouzo or tsipouro, or in salads (lots of rocket and pine nuts and a simple creamy Caesar-like dressing with croutons. Yum!). 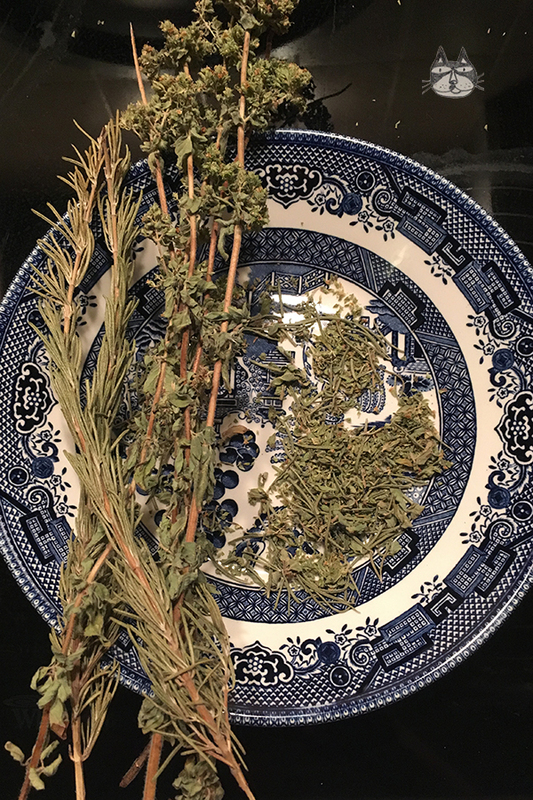 I love to use this fish as a base for the Puttanesca pasta sauce (it adds a slightly different flavour to the sauce, because of the rosemary), and I have used this in my many hungry-and-need-to-eat-immediately fried rice mixes. It’s versatile, and it lasts in the fridge. He made this in the middle of summer, while his grandmother was here in Athens for a visit. 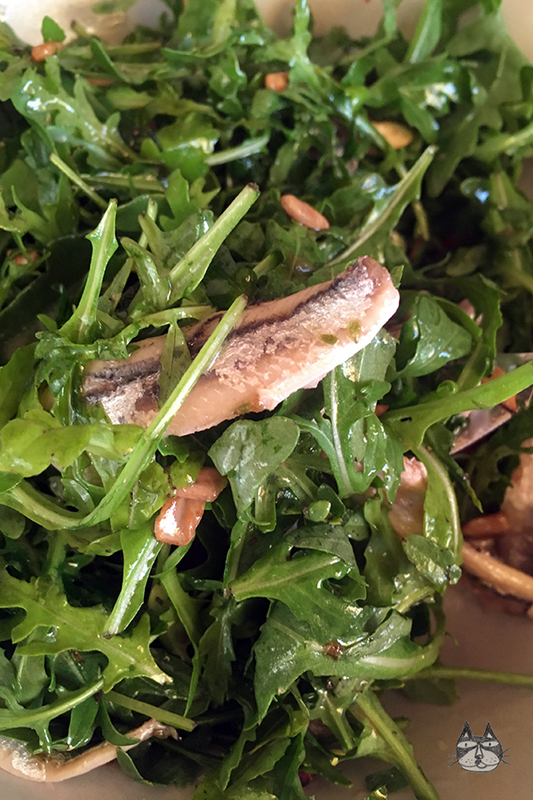 Gavros anchovies are also known as European anchovies. They can be baked, fried crunchy or my favourite, grilled fresh and eaten with a squeeze of lemon juice. You do use a lot of salt here, and you will have to discard the salt after you’ve cured the fish in the salt. 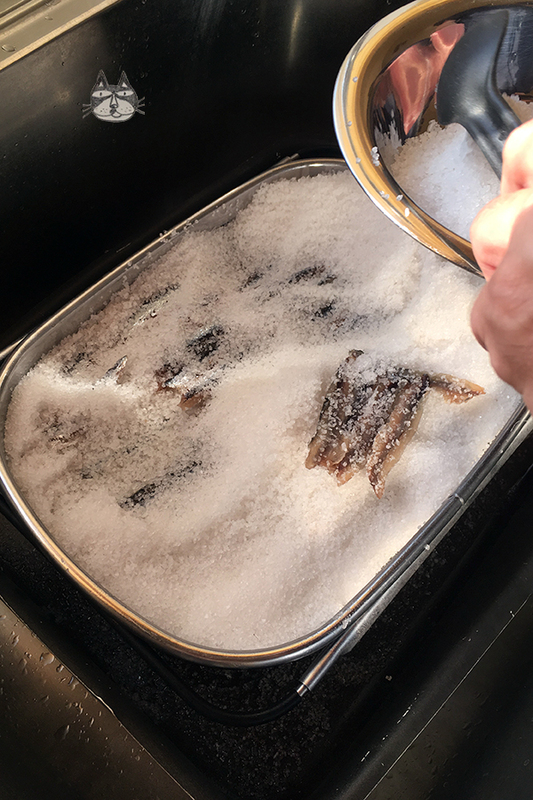 It is best to use a sieve to start the salt curing process – because the water/moisture will need to be drained when you cure it in the salt. Also, the sieve should be fine enough so that the rock salt/kosher salt doesn’t fall through. How long the fish lasts depends on how long you cure it in the salt. For the fish to last for 2-3 weeks, cure it in the salt for about 5-6 hours, and in the vinegar for about an hour to 2 hours. 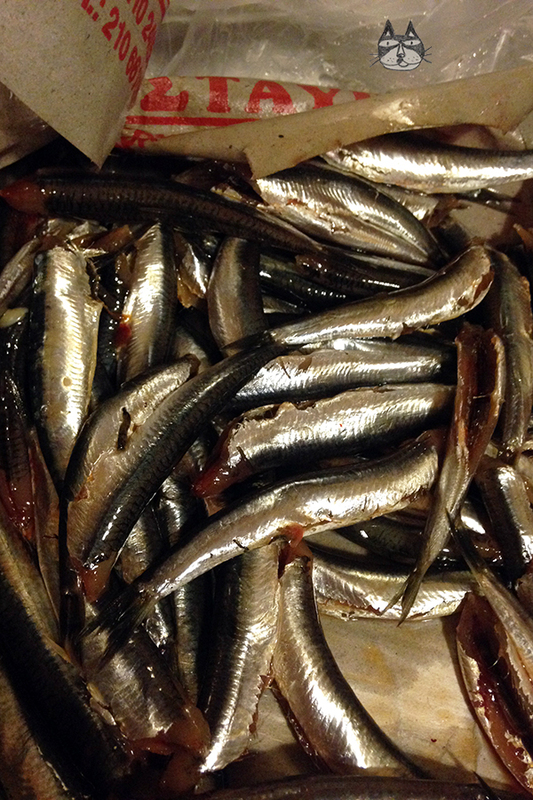 For the fish to last for months, cure it in the salt for at least 12 hours, and in the vinegar for about 3-4 hours. How hard or soft the fish is all depends on how long you cure the fish in the vinegar – the longer you leave it in the vinegar, the texture of the fish becomes less pliable. 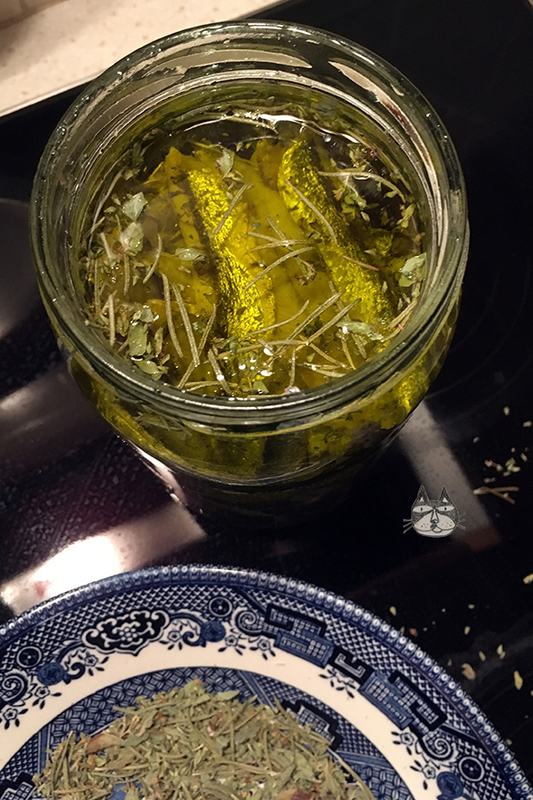 The marinade part comes after the curing – you prepare a jar and fill it up with good olive oil and the herbs and spices and more vinegar. Store it in the fridge and it’s ready to eat after a day. It tastes better and gets more flavourful after a few days. 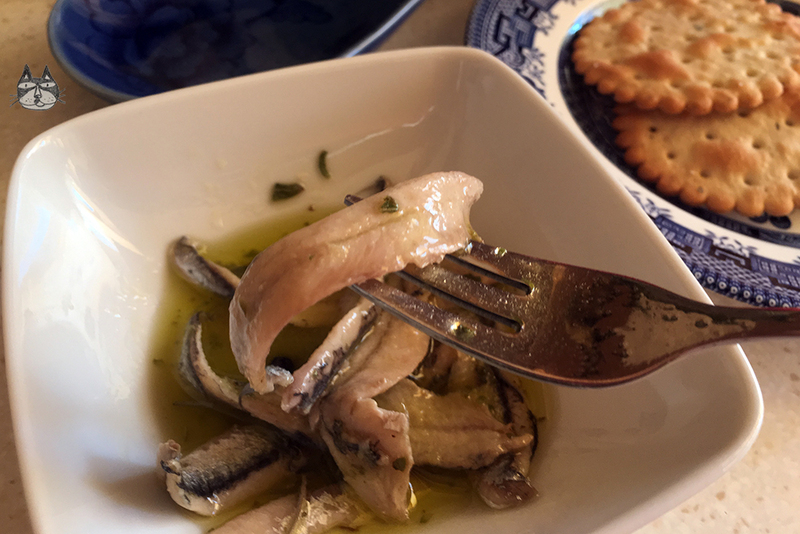 So guys, enjoy this salty salt preserved marinated anchovy fish in olive oil…. store them in clean jars, and it lasts in the fridge for a few weeks to a few months. Note: Olive oil gets hard and solidifies when it’s cold in the fridge. 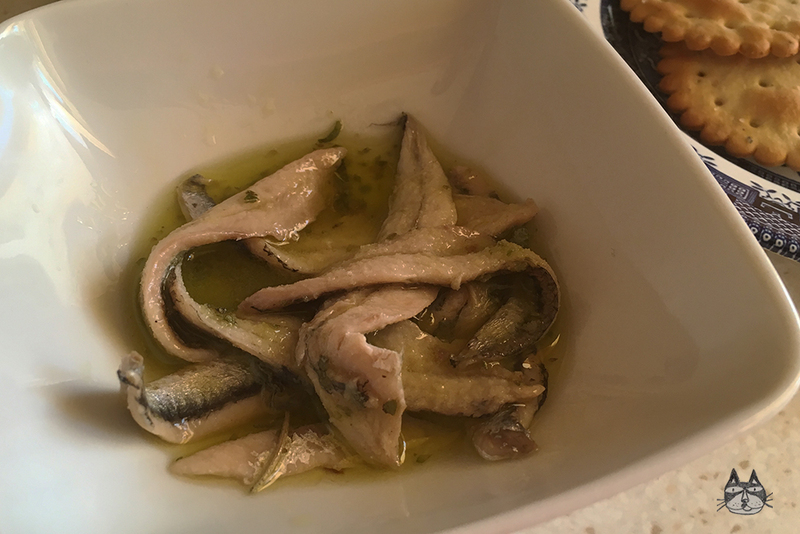 But once you get the fish out of the jar and into a bowl and leave it to get to room temperature, the olive oil will turn to normal again. You can dilute the olive oil with some sunflower oil if you don’t like the idea of chunky and hard olive oil when you take the jar out of the fridge. 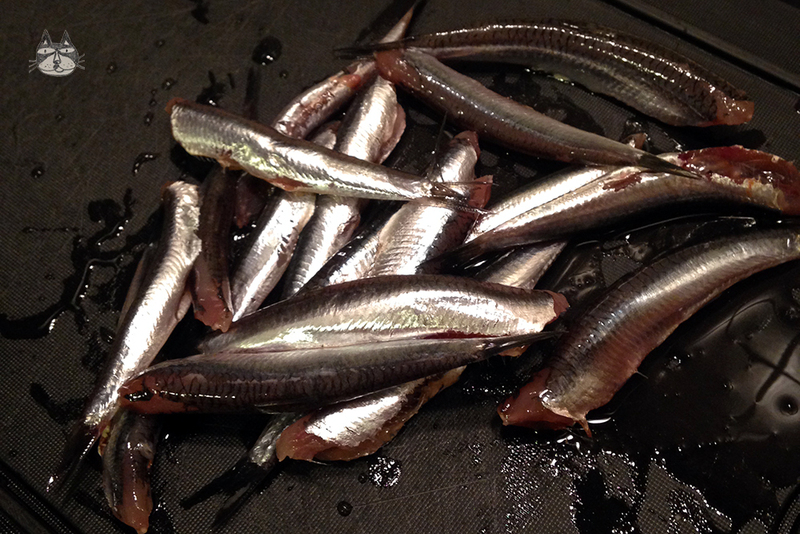 1 kg of gavros anchovies, deboned/fillet and cleaned. 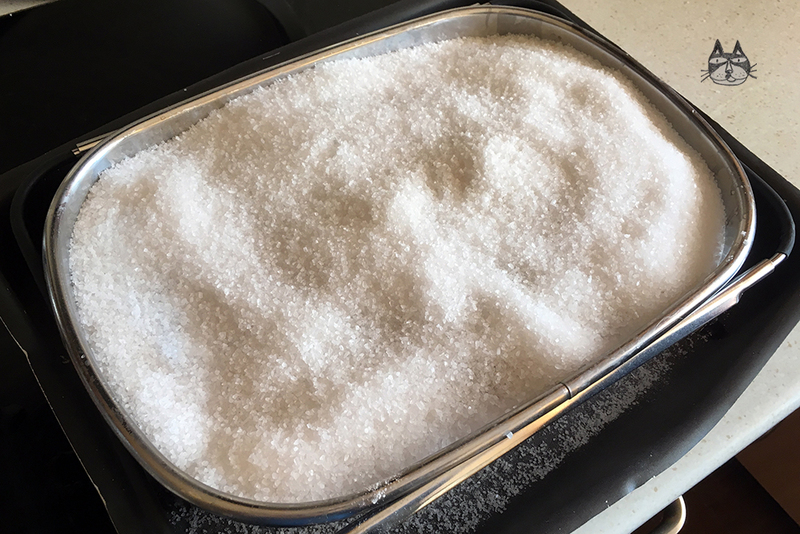 In the sieve, place a thick layer of salt at the bottom. Arrange the fish fillets in a layer, and place more salt on top. Continue until you have used up all of the fish. (You may have leftover salt). Cover it all with more salt, and place the sieve in a dish to collect any liquids that will drain away. 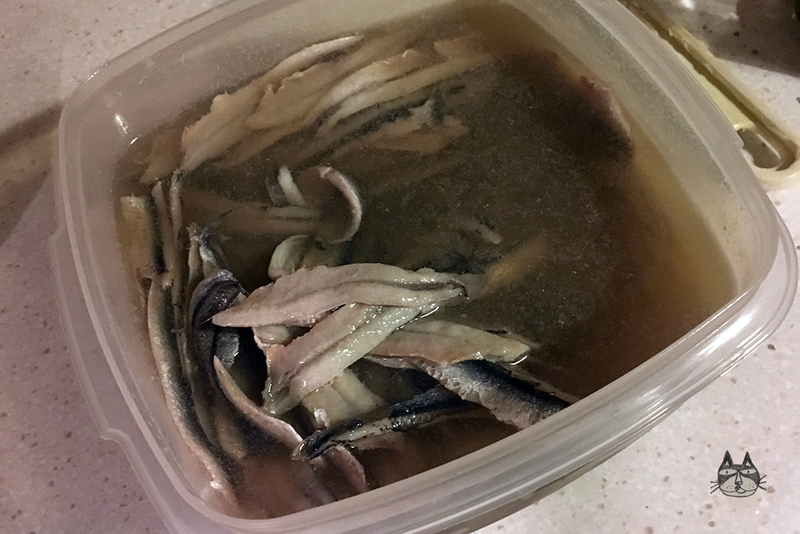 After curing the fish: Prepare a large bowl filled with the red wine vinegar. Set aside. Gently remove the salt from the top layer, and remove the fish piece by piece, gently scraping the salt away as much as you can. Place the fish fillets into the red wine vinegar. Continue and repeat with all of the fish fillets. Discard the salt. Cover the bowl and store in a cool place (like the fridge) for a few hours (between an hour to 2 hours, or 3 to 4 hours depending on how long you want the fish to last). Remember, the longer you leave the fish in the vinegar will determine how ‘soft’ and pliable the fish is. 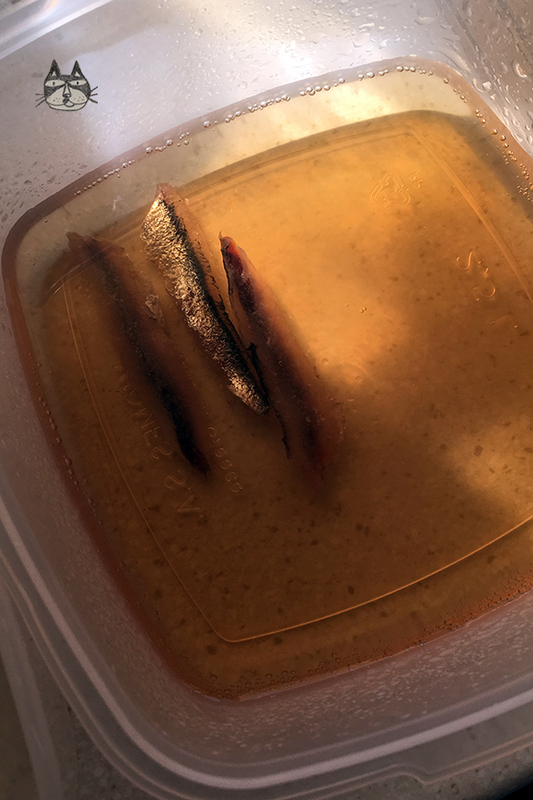 After awhile, the fish will start to look like it’s been ‘cooked’ in the vinegar. 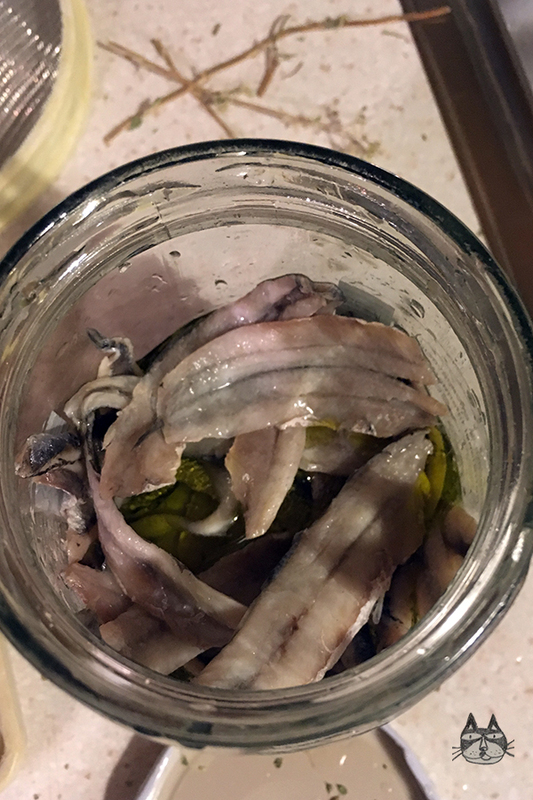 Assemble the marinade for the fish: Prepare a big clean jar. Layer the fish that you have removed from the vinegar cure in the jar. Start with a layer of olive oil, herbs and spices. Layer with fish and cover with more oil and a tbsp of vinegar. Layer again with fish, herbs and spices and then with olive oil and vinegar until you have filled up the jar or until you have ran out of fish. Cover with a last layer of oil, so the fish will stay submerged in the marinade. Cover the jar with the lid, tight. Store in the fridge for at least a day to let the flavours merge. When you are ready to use it, serve as mezze, or in salads.